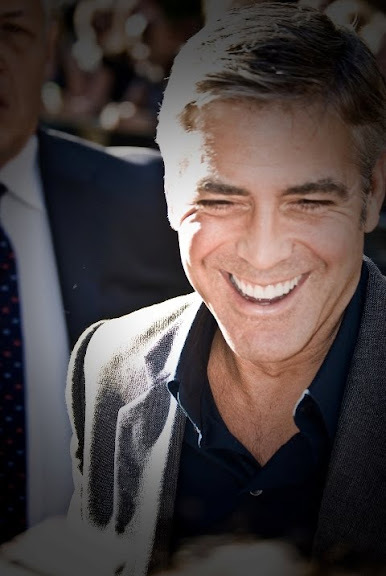 George Clooney arrived early at his "Up in the Air" premiere at the Toronto International Film Festival at the Ryerson on Saturday September 12th, 2009 to greet fans. He was very personable and receptive. A woman couldn't find anything for him to sign but a cheque, and Clooney joked that he couldn't oblige signing anything that could be cashed. This was a first that I encountered an A-list celebrity giving this kind of attention to admirers.